Suicide has become an epidemic in America. It is at a 30-year high, and it is the second-leading cause of death in the U.S. behind motor vehicle accidents, according to the Substance Abuse and Mental Health Services Administration. The recent tragic deaths of fashion icon Kate Spade, 55, and travel and food guru Anthony Bourdain, 61, catapulted the catastrophe to the consciousness of the nation. But people from all strata of society — and especially in the LGBTQ community — face the risk as well. Most of what is known about suicide in the LGBTQ community comes from the research of youth issues, because the latest information, a 2016 statistical analysis by the American Association of Suicidology of that year’s 44,965 victims, contains no data based on sexual orientation. The various agencies studying suicidal behavior in LGBTQ youth maintain that suicide is the second-leading cause of death among young people ages 10 to 24, and that lesbian, gay and bisexual youth are three times more likely to seriously consider suicide and five times more likely to have attempted killing themselves than their heterosexual counterparts. A study of transgender people revealed that 40 percent had made a suicide attempt and that 92 percent of those 40 percent tried to kill themselves before age 25. Researchers, psychologists and others involved in mental health care believe that LGBTQ youth are more susceptible to suicide because of bullying that includes verbal and physical abuse, little support from family and friends, low self-esteem and the stress associated with minority status. As a result, LGBTQ youth are more likely to turn to alcohol and other drugs to tackle feelings of chronic hopelessness and worthlessness that exacerbate their problems. All of these factors can be translated to older groups of LGBTQ people who remember experiencing the same treatments and feelings in their youth and may still suffer the consequences as adults. In a report on June 7 of this year, the Centers for Disease Control reported that the 2016 statistics reflected a 30 percent increase in suicides among Americans age 10 or older since 1999. The release of the report announcing the spike ironically coincided with the deaths of Spade on June 5 and Bourdain on June 8. The 2016 analysis showed that white men in their middle ages (45 to 64) made up the largest percentage of deaths, and that group has shown the largest increase in suicides in recent years. Of the 44,965 deaths, the breakdown was as follows: males, 34,727; females, 10,238; whites, 40,164; non-whites, 4,801; older adults (65-plus), 8,204; middle ages (45-64), 16,196, and young people (15-24), 5,723. All of the states reported significant numbers of suicides, with California in the lead at 4,294, followed by Texas at 3,488 and Florida at 3,143. The District of Columbia had the least number of suicides at 40, and Vermont and Delaware leveled out the bottom with 118 and 119 respectively. Regionally, the South had the most suicides with 17,593, and the Northeast had the least with 6,078. The West showed 11,516, and the Midwest showed 9,778. The use of firearms represented the most common method of suicide (51 percent) in 2016, followed by hanging and other suffocation (26 percent) and poisoning, 15 percent. 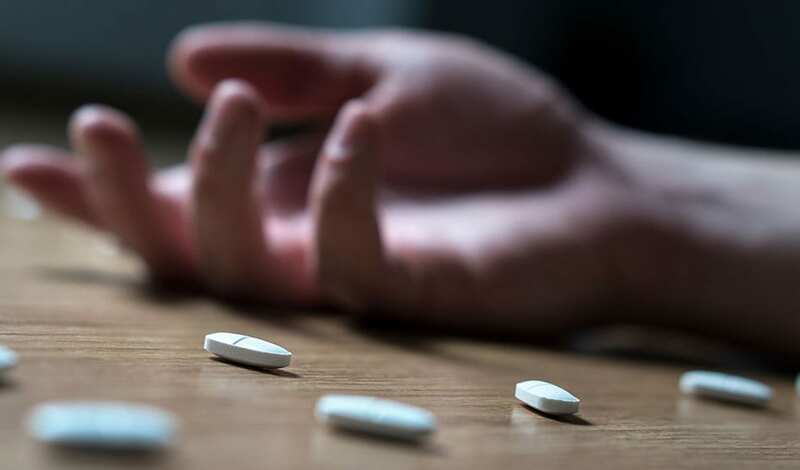 Suicide by hanging and suffocation showed a dramatic increase — 52 — percent compared to other methods in a study of statistics from 1999 to 2010, according to a U.S. National Library of Medicine report. Firearm use remained level during those years, while poisoning increased by 19 percent. Both Spade and Bourdain committed suicide by hanging, and their deaths could be expected to spark an increase in the suicide rate if trends noticed in previous years continue. Crisis prevention hotlines are already reporting more calls. A study by Columbia University noted that when actor Robin Williams, 63, hung himself in 2004 suicides rose by 10 percent in four months. A similar increase was noted in 1962 when actress Marilyn Monroe, 36, died as a result of barbiturate poisoning. The phenomenon is known as “suicide contagion,” and it is believed to be spread by massive media coverage of celebrity suicides. Most U.S. newspapers and other media abstain from publishing news about suicides unless it involves celebrities or politicians at least in part because of the danger of copycat suicides. In the days following massive media coverage of suicides, people who are thinking about suicide may be more likely to act on the impulses. Research by mental health professionals shows that suicide victims often showed no signs of despair, nor did they have a history of mental illness. The suicides of both Spade and Bourdain took family and friends by surprise. LGBTQ youth are arguably the most vulnerable group to suicide because they are less likely to know of resources or to be able to access them. Youth who lack strong support from family, peers or adults such as school officials are particularly at risk. Research indicates crisis prevention services such as hotlines can be effective interventions for youth in trouble. Adults who are in crisis can call the National Suicide Prevention Lifeline at 1-800-273-8255. Adults concerned about other adults also can speak to the counselors. 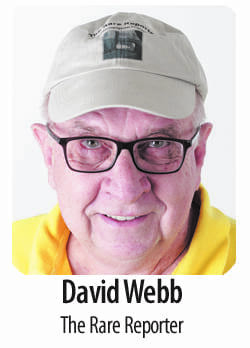 David Webb is a veteran journalist with more than four decades of experience, including a stint as a staff reporter for Dallas Voice. In 2016, he received the Press Club of Dallas’ Legends Award, bestowed in large part for his work with Dallas Voice. He now lives on Cedar Creek Lake and writes for publications nationwide.